The Kenyan High Commission has announced that citizens of South Africa visiting Kenya will need a visa starting July 1, 2014. Ordinary visa applicants traveling to or transiting through Kenya will be required to pay a service charge of SAR 750 ($70). 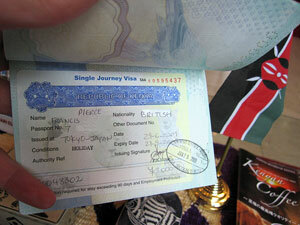 The processing period for the visas is strictly five working days. Holders of official or diplomatic passports traveling on Government business are not affected by these changes and will continue to get visitor’s passes on arrival at the ports of entry.